Toshiba is known for being the industry's leading company of storage products for over 4 decades. 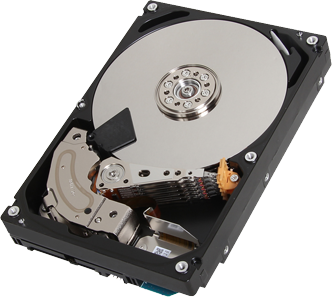 They offer the most comprehensive range of storage technologies, from HDDs, Hybrid drives & SSDs to NAND flash memory. Toshiba has proven that they have the engineering resources and expertise by inventing NAND flash memory as we know it. They offer the best performing SSDs by completely designing and producing in-house, resulting in high-end products with exceptional reliability and durability. 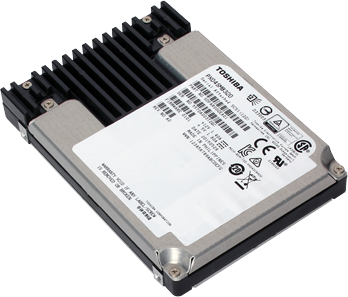 Toshiba SSDs are applicable in a wide variety of cases such as: Write-Intensive Virtualized Data Centers, Big Data Analytics, High Performance Computing, Critical Enterprise Workloads and Online transaction processing. Toshiba's Enterprise Performance HDDs are designed for high-performance server and storage systems that require quick and rapid data transfer. With a large capacity data centers are sure to cover large amounts of data storage. The Enterprise HDDs are engineered for Business critical workloads, Tier 2 Critical Servers and Storage Systems and Servers supporting Application workloads. Discover Toshiba's Enterprise SSDs and HDDs in-depth.